When the Grand Junction Off-Road opened on May 29, more than 500 professional and amateur riders from five countries and 30 states descended on Western Colorado's Grand Valley to compete in an event that, after only three years, has already gained a solid reputation as one of the most technically difficult races on the pro circuit. That reputation, along with the trails and the $30,000, equal-payout prize purse it was built on, is pulling more and more professional cyclists from around the world and enticing them to come to Grand Junction–which is exactly what Todd Sadow, president of Epic Rides, hoped would happen when he decided to expand his well-respected series of mountain bike races to include an event here. "We're seeing a trend in the international mountain biking community where professional riders are turning down opportunities to compete in races in Europe so they can participate in events like the Grand Junction Off-Road," he said. "I don't know that there could be a stronger testament to the quality of the trails in this area." 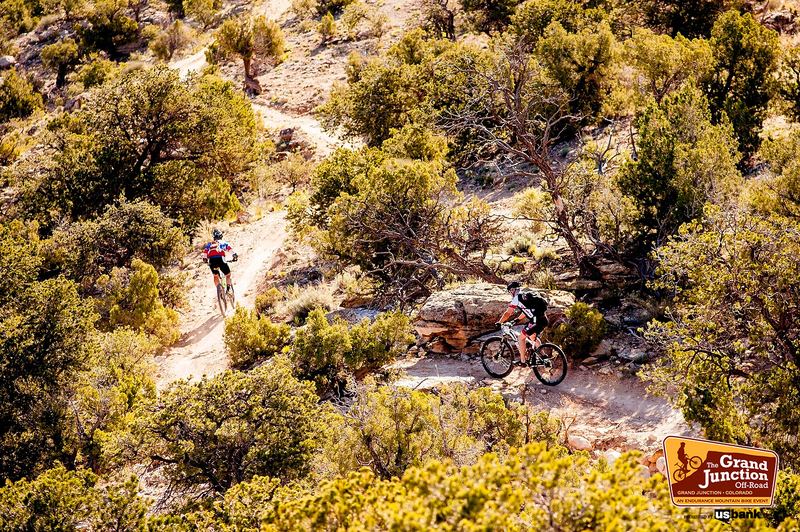 As an avid mountain biker and executive director of the Grand Valley Trails Alliance, Dave Grossman knew exactly how good those trails were when he approached Sadow about the possibility of Epic Rides hosting an event in Grand Junction. 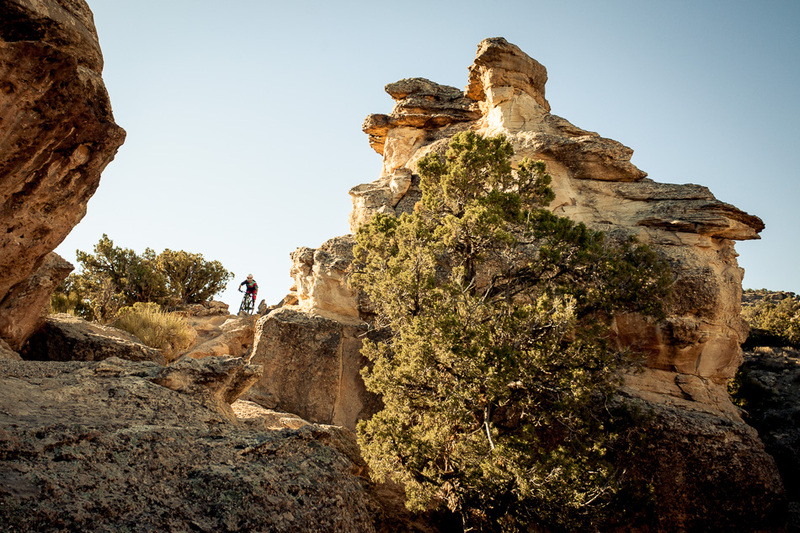 "Fruita has been on the lips of the mountain biking community around the world for awhile, but I wanted people to see that the trails aren't just in Fruita," said Grossman, who is now the event director of the GJOR. 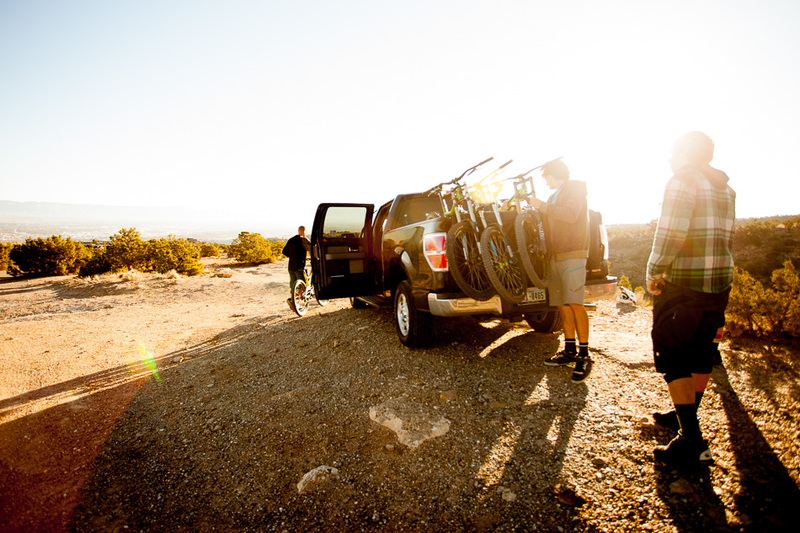 "There's world-class mountain biking opportunities from one side of this valley to the other." Nestled on the western edge of Colorado's Rocky Mountains and situated conveniently against Interstate 70, the 30-mile Grand Valley stretches from Palisade to Grand Junction to Fruita. Cut by the waters of the Colorado River, this high-desert region seems worlds away from the famous snow-capped peaks of the resort towns less than two hours to the east. The temperate climate and rugged terrain are ideally suited for the nationally renowned orchards and vineyards that are so prevalent in the valley. They also make for some seriously sweet singletrack. "At the end of the day, that's what people are looking for," Sadow said. "They enjoy the experience of coming here, but first and foremost, they're here for the trails." And there are definitely plenty of trails to go around. From the sweeping, flowy runs at Fruita's 18 Road and the sandstone cliffs of Kokopelli to the precarious edges of the Palisade Rim and the aggressive, technical trails of the Lunch Loops in Grand Junction, the Grand Valley offers something for nearly every style of riding and all types of riders. The one thing all the trails have in common is that none of them is boring–a fact that the Grand Junction Off-Road is helping to showcase to an increasing number of professional and amateur riders during the three-day event. "We created this event as a way to get people from all over the world to come to this area and have an amazing experience they'll never forget," Sadow said. "Our goal is to make sure they leave with such an intense emotional connection that when they go home they tell everyone they know just how amazing this event–and this area–really is. It creates a walking, talking postcard that helps open everyone's eyes to all that this community has to offer." Anyone who doubts how effective that strategy is needs only to glance at the diversity of the license plates adorning the multitude of cars parked at the Lunch Loops trailhead on any given day. Or stop and talk to any of the riders along the trails that make up the 15-, 30- and 40-mile courses for the Grand Junction Off-Road and count the different accents heard. It doesn't take long to realize that this sleepy valley that was once little more than a stopover for riders on the way to Moab has now become a highly anticipated attraction on an international stage. And as that reputation spreads, it not only helps bring more cyclists to the Grand Valley, it also helps create more singletrack opportunities for them once they get here. With the large amount of Bureau of Land Management land that surrounds the Grand Valley, there's certainly no shortage of places that would allow grassroots organizations such as the Colorado Plateau Mountain Bike Trails Association to significantly expand the extensive trail network already in place. But the project that has local riders truly salivating is the proposed trail known as the Palisade Plunge. This little slice of mountain-bike heaven would feature a roughly 6,000-foot descent from the top of the Grand Mesa to the town of Palisade at the eastern edge of the valley. And while there are still many challenges that need to be worked out for this monumental project to become a reality, the grand payoff would be a trail that connects the proposed terrain park and downhill runs at Powderhorn Mountain Resort with the existing trail systems in Palisade, Grand Junction and Fruita, creating a mountain biking experience that could only be described as…epic. "I see really exciting things happening on the east side of the valley in the near and distant future," Grossman said. "And it fits in perfectly with the efforts of the Grand Junction Off-Road to cement this area as a worldwide mountain bike destination." The next step toward reaching that goal is already underway at Powderhorn, which is upgrading its main chair lift to a high-speed quad outfitted with bike racks. 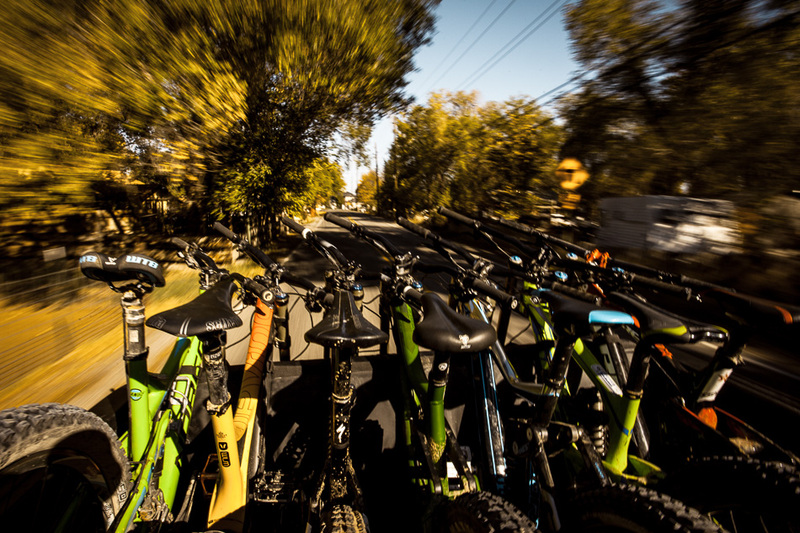 It will be the first opportunity for legitimate gravity riding in the area and will make the valley even more attractive to riders looking for a complete trail experience. And, yes, it will undoubtedly give those riders from across the country and around the world one more thing to rave about when they go home after next year's Grand Junction Off-Road. The stage is definitely set.